I love typography! I’m fascinated with letterforms. I’ve often considered designing a typeface of my own. It’s not a task for the faint of heart, though. Do you really understand or appreciate the work goes into developing a typeface? Designing a new typeface involves many considerations. Will your typeface be serif or sans serif? Decorative? How will that initial decision bear on the usefulness of your typeface? What applications will find your typeface most suitable? In creating the forms, you must consider every possible pairing of letters. How comfortably will each character sit next to the others? You must also include all of the common marks of punctuation: ,./?;’:”__=+. Each of these must “fit” with the “personality” of your typeface. And then you must design all the most commonly used symbols. These include symbols like copyright, trademark, and bullets. And then there is font weight: bold, semibold, light, medium? Additional characteristics such as italic, handwriting, calligraphic, and other decorative elements. Designing a typeface, or more commonly “font,” you can see is not an easy task! 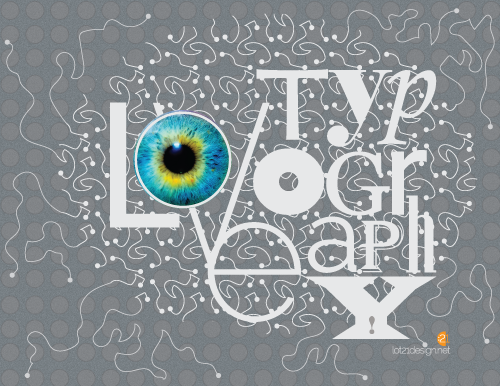 If you really love typography, though, you’ll love the design process. Your goal will be to make your typeface versatile yet timeless. If you’re that designer with a love and fascination for typography, this could be a game-changing endeavor. An awesome typeface could transform your design career. Well designed typefaces have become iconic representations of important periods in history. Think Bauhaus. In the early days of website development, we were restricted to certain fonts. These included classic serif fonts like Georgia and Times New Roman, and sans serif fonts like Verdana and Tahoma. To include a “branding” font in your website layout, you had to embed the typeface in your graphics files. Advancements in technology now allow us a wide array of typefaces. You can access them through your web application’s interface. Google Fonts access, for example, is now widely integral feature in site theme development. For business purposes, most designers choose serif or sans serif typefaces. There is still a need for decorative, cursive, and handwriting fonts. Popular vintage styling makes excellent use of these. Did you know though, that cursive writing is no longer being taught in elementary schools? Personally, I think that’s a little sad. Another art form being lost to time. But fortunately, those who love typography are still keeping those letterform traditions alive. Some schools are now considering returning to cursive writing instruction. And a little of my artwork! Enjoy and share!